Andrew Miller Photography Wedding Useful Links. 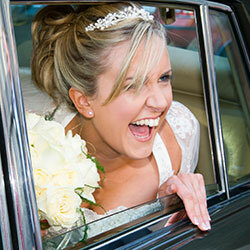 There is a multitude of photographers in Ireland, all keen to photograph your wedding. What should you look for when selecting a photographer? A few points to note are listed below. We hope you find this helpful. Choose a photographer who you feel relaxed with, as you will be with them for a large part of the day. Someone who can put your guests at ease and make them feel confident having their picture taken. Makes for better pictures too. Can the photographer take control to direct a large group of all the guests? We think of the bride and groom as friends, we feel privileged to be part of their day and are focussed on giving them a good experience. If the bride and groom enjoy the day with us, we get happy pictures. Thus, if at all possible, meet with your potential photographer before the day. If you get on with them and like their work, book them! A good wedding photographer has much more to offer than just a fancy camera. An experienced wedding photographer brings a calming element to the event, providing direction on the day. They can put people at ease and cope with the unexpected. They can guide you smoothly through the day and yet creatively capture priceless moments. The good wedding photographer knows how to position people to look their best, get hungry children to smile, all while noting the background and finding the best light. They are polite and respectful; working with the venue so the dinner can start on time. They know how to fix the flowers on the groomsmen, knot ties, straighten the veil. They will work hard to make being photographed an experience you enjoy. They will even have a good pen in case the priest only has a chewed Bic! This is just a little of what a seasoned wedding photographer will do as well as capturing your wedding! Experience is invaluable. Can you imagine yourself in their pictures? Does the photographer’s style match your expectations? Each photographer has a unique vision. Are their pictures appealing to you? Look carefully at the photographers work, look at complete weddings, not just a few portfolio pictures. Does the photographer produce consistent results? What about when the weather is less than ideal? Examine a selection of their work on their website and albums. You need to be confident that you can trust them to do their job! Each photographer has a different approach and skills to achieve their particular style. If “arty” wedding photographs appeal to you, then only talk to “arty” wedding photographers. If you like staged, “Traditional” pictures, only talk to a “Traditional” photographer. We have “a relaxed, natural style”, a flexible and contemporary approach. If, you like the idea of having most of the day progress naturally with little intrusion but can spend about an hour of your time away from the guests for a few family group pictures and a some beautiful bride & groom portraits, then we would be right for you. A wedding album is for a lifetime, to be enjoyed by generations to come. Will your grandchildren be most impressed with special effects by a “clever" photographer or clear images of their ancestors? A wedding album is a longterm investment, beware of choosing a style that is out of fashion before your first anniversary! Also the designer’s style expressed in the layout of the albums on offer. Less may turn out to be more. We are not just photographers, but also designers. We always send you a preview of an album design before sending it for printing and binding. No nasty surprises there. How much time does the photographer require from you on the wedding day? A reportage photographer will demand little if any of your time during the day, leaving you to mingle, enjoy a drink and celebrate with your friends. This is a compromise though. While you get a selection of some natural moments, you may not get family shots that another photographer gets while he takes you away for an brief afternoon photo session. Another may want a couple of hours for a portrait session at a location away from the guests. Ask how much of your time does the photographer require. We let the day progress naturally and spend maybe 15 minutes for family groups and about 30 minutes or so for relaxed pictures of the bride & groom. The rest of the day we capture as it happens. Pricing is negotiable, personality, experience and technical skills are not. The cost is the least important aspect of choosing a photographer. What is a reasonable budget for wedding photography? It is not just their time on the day but two or more days editing and designing. Decide what you want first. Find what you like and get a good idea of what’s going to be needed and approximately how much this costs. After this set a budget. Don’t forget to include an album. JPEG’s on a USB Drive are easily mislaid and technology keeps moving forward. Images in print have a degree of permanency. There is a vast range of wedding albums available. We spent a lot of time researching albums and offer Wedding Books by Graphi-Studio, Italy. Which have a lifetime guarantee. A quality wedding book is an investment, part of your family legacy, an heirloom. Think grand children. If a photographer is asking a very low price, be cautious. Ask why are they so cheap? If it sounds too good to be true then it almost certainly is. Once you have established your date. 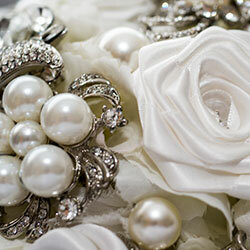 First, verify that we are available on your wedding day by contacting Andrew on 0862404008, or by e-mail. Or complete the enquiry form on the contact page of this website. 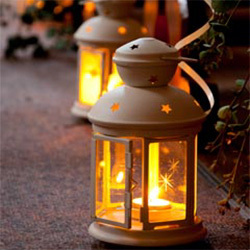 After you have confirmed your date is available, please complete a booking form and send by post or email. Payment of a booking retainer (€350) to secure the date can be made by bank transfer or paid over the phone by Visa card. This is deducted from the final balance. Yes. We are fully insured with Public Liability and Indemnity Insurance. Many venues and most locations, especially OPW properties, require your photographer to have insurance. When do you start photography and how long do you stay? We start with the morning preparations, usually about 90 minutes before the ceremony and stay up to the dinner call for our standard packages but we can stay until first dance or so, if requested. We can meet up with you before your big day to take some relaxed, casual shots. This helps on the big day when you know what to expect as we have already worked together. Images may be used for parents, as an engagement potrait or for a signature mount for your wedding day. We happily accept requests to photograph groups of family and friends. A wedding is a good opportunity to get everyone together for a family photograph. Often it is best for a responsible person from each group to organize those individuals so that the group photos can be taken quickly. That leaves more time to celebrate the day. How many pictures do the couple receive? It varies, usually 500+ photographs on a USB stick, from which to select your album pictures. You may also freely copy or make prints to share with your family and friends. When will we see our wedding pictures? Usually the images are posted to you before you return from your honeymoon. Once you have selected your favorite pictures we can begin designing your album. Do we own the copyright of the pictures? No. Andrew Miller Photography always retains the copyright; but you are free to copy, print and the share the pictures from your wedding, just not sell them! Do you keep our wedding pictures after we have received our album? Yes. We store the image files for at least seven years. Do we have to have an album? No. But a Wedding Album has a greater degree of permanency than a hard drive or an iPad for example. As technology advances what is amazing today will quickly be discarded. A printed album is designed to last many generations and does not need batteries! The albums we offer from GraphiStudio have a lifetime warranty. I want an album, can I see the layout design before it is printed? Yes, we send a copy of the design for all our Wedding Books by email for you to approve, making any adjustments required before organizing the printing and binding. You can have as much or as little input in the design as you like. Your ideas and suggestions are always welcome. Do I have to choose my album before the wedding? No. You may make your final selection of album after you have had time to look at your wedding photographs. This way you are in a better position to make the best choice for you. Of course it helps us to have an idea of what you might have in mind. Do you travel to photograph weddings? 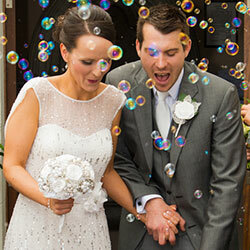 We have photographed weddings across Ireland, in the UK and destinations abroad. There is no charge for travel within a radius of about 100 km, after that a small charge for fuel may apply. For destination weddings please ask for a quote. You are welcome to meet up and look over some albums and examples of our work and discuss your plans. Evenings and at weekend appointments are welcome. Please telephone to make the arrangement. What is a post wedding shoot? Sometimes called trash the dress or cherish the dress shoot etc. A fun photography session after the honeymoon, in a location around Wicklow such as the beach, Glendalough etc. Do things not possible on your wedding day. The dress deserves a second outing! For the bride, bride and groom, bride and bridesmaids; you choose.